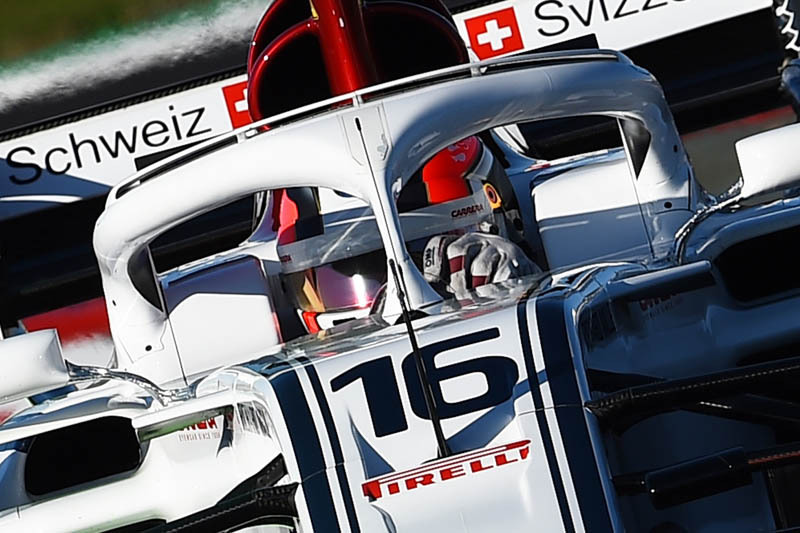 After a long winter, the F1 season opener in Australia has a special taste for the Alfa Romeo Sauber F1 as it marks the return of the iconic Italian brand to Formula 1 after more than 30 years as Title Partner of the Team. With the brand new C37, which is equipped with the 2018 Ferrari engine, and a strong line-up - consisting of Marcus Ericsson, a well experienced driver, and Charles Leclerc, a very promising rookie - the team is heading out to Melbourne ready for an exciting season. Marcus Ericsson: "We are ready and looking forward to the first Grand Prix. It is always exciting to kick off the season in such a fantastic location, and on a track that is fun to drive. The circuit in Albert Park is a mix between a street track and a regular circuit, which is a good challenge for us drivers. The weather is usually quite unpredictable there, so that also spices things up for the weekend. I am looking forward to seeing our new car on track for the full race weekend for the first time. Winter testing was useful in terms of gaining a general understanding of the car's behaviour and potential. Now, we are moving to the next step when we will start to understand where we are in relation to our competitors. I look forward to it all and can't wait to be back on track in Albert Park." Charles Leclerc: "I am really looking forward to being in Melbourne. The first race of a season is always exciting for a driver, but this being the first Formula 1 Grand Prix of my career makes the occasion even more special. Melbourne is a lovely city that I discovered when I came to watch the Australian GP last year. Driving on the circuit in Albert Park will be a new experience for me, and I look forward to the challenge. With it being the opening race of the season, you can really feel the excitement and energy there. Over the past weeks, I have got to know the team well, learned all of the relevant procedures, and was able to get a first impression of the new C37 during winter testing. I am eager to now spend a full race weekend in the car and work with the team to understand how we can maximize our potential. I can't wait to be on track for my first Grand Prix as a Formula 1 driver." Frederic Vasseur, Team Principal: "We are starting off the new season with quite a few changes. First of all, we are returning to the paddocks with an iconic Title Partner - Alfa Romeo. Our new car, the C37, is equipped with the 2018 Ferrari engine. Recent winter tests in Barcelona have given us a first understanding of its potential, and we will continue developing it throughout the year. We also have a new driver duo. Marcus (Ericsson) has a lot of experience and has become a key part of the team over the past three years. Charles (Leclerc) is joining us for his debut season in Formula 1. It is always exciting to see a rookie experience his debut in the sport. This Australian GP will be a special one of all of us, and I look forward to starting off the 2018 season on a positive note." Sauber reveals its new challenger, the C37.